What we can say is that Smoktech is one of the oldest and most progressive companies in vaping, and when it comes to innovative vaping devices, they have to be amongst one of the best. Let us look at one of the latest devices the SMOK FIT Ultra-Portable Kit, this clever device is pushing to be one of the most robust all-in-one pod systems. It is more than easy to use and is classed as a”breeze”! The design utilises a refillable pod design, this eliminates carry bottles of ejuice, thanks to the simple refillable pod system, you can fill a few cartridges and bring them along with your SMOK Fit to change, just bring along flavours of choice. 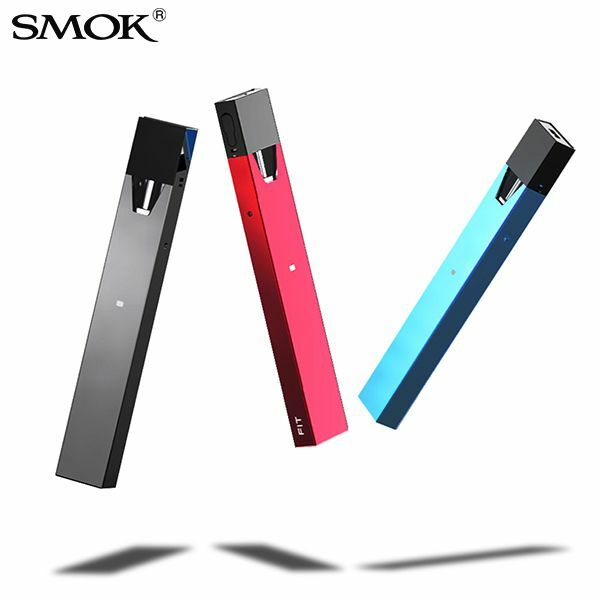 For use at home many of us have a primary or larger vaping device, but the SMOK FIT is very portable, has a long battery life and is perfect for those out and about. The device uses a 250mAh internal battery and refillable 2mL pod cartridges. The SMOK FIT is a compact handheld vape with an elongated rectangular prism design, very much in contrast to the larger somewhat clunky vaper that can be seen around. Easily researchable through a standard USB, now seen around in increasing number everywhere, many of our vapers tell us they carry a small back up charging battery. We can definitely agree that the SMOK FIT was built for easy vaping, pop in the cartridge pod and you are ready to vape. Choose from blue, red or gunmetal and at our offer price of just £19.99, you are on your way to some hi tech vaping. We include in the box: 1x SMOK FIT Device, 2x SMOK FIT Pods, USB Cable, and a user manual. Getting more out of your vaporizer has never been easier with the E-Paradise 3-in-1 Portable Vaporizer by Airistech. Great for those who are new to vaporizing or those looking for something more substantial, the E-Paradise 3-in-1 Vaporizer allow you to vape, herbs, wax concentrates and oils without having to purchase additional add-ons. The Airistech E-Paradise V2.0 3-in-1 Portable Vaporizer comes in a handy acrylic gift box for easy storage when not in use and comes with everything needed to get started, just add you favourite herbs, wax or oil. Available now for just £39.99, the E-Paradise 3-in-1 Vaporizer is a great way of getting started in the world of vaporizing. Here at Shiva Online we pride ourselves on stocking the best products for our customers, and when we heard about a new and improved version of the award winning Puffco vaporizer we knew we had to have it. The Puffco Plus features a sealed conduction chamber which produces a steady and consistent vapour, all housed in a slim line and discreet housing. This vaporizer also features a specially designed ceramic atomiser and is completely coil free providing even heat for the perfect vapour. The Puffco Plus’s mouthpiece also houses a ceramic dart, specially designed to making loading a breeze and acts as a splash guard to ensure the atomiser efficiently retains oil. With 3 temperature settings, the Puffco Plus allows users to choose their preferred balance of flavour and vapour. 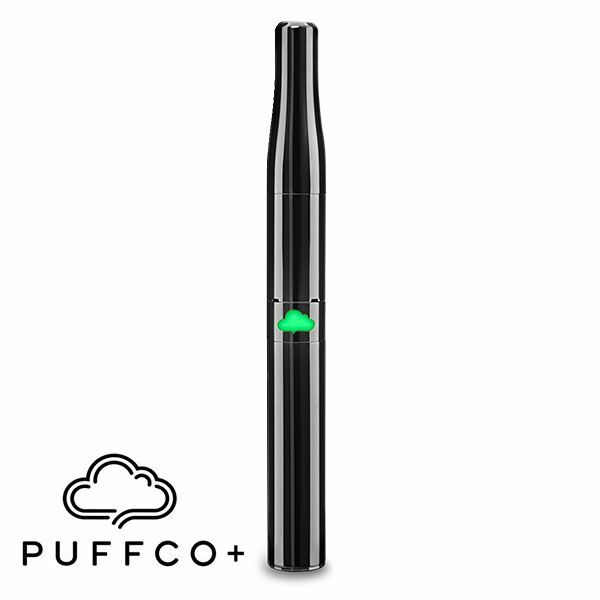 The Puffco Plus is available now for £94.99 and comes complete with a spare chamber, USB charger and cleaning swabs. 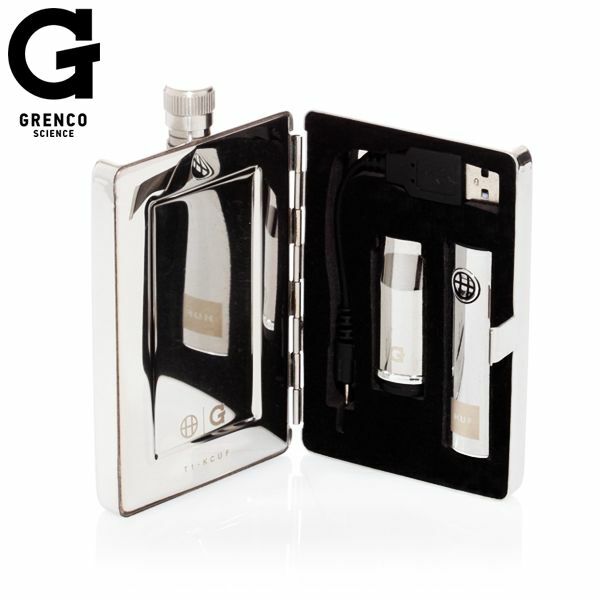 This seemingly standard hip flask is a collaboration between skateboarding apparel giant HUF and Grenco Science and consists of a stylish hip flask that features a hidden compartment for the Grenco microG Vaporizer. 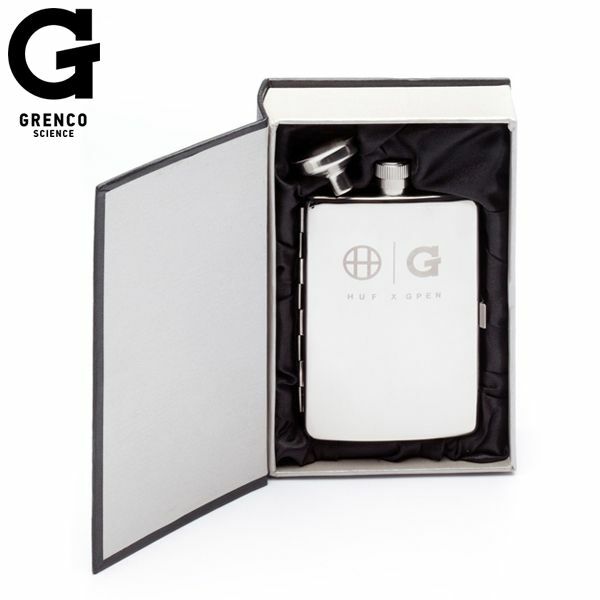 This dual purpose HUF x Grenco G Flask not only looks like a hip flask, but can also be used as one, holding a small amount of your favourite tipple when on the move. Also included is the limited edition HUF microG vaporizer, specifically designed for use with your favourite oils, waxes and concentrates. There is also a carry case to make sure that the G Flask doesn’t get scratched in a bag or pocket and the whole kit is presented in a presentation box that looks like a book. Turning your concentrate into a tasty smooth, even quality is not difficult, particularly if you use our Wax Liquidizer products, these are designed to enhance the flavour of the oil and allow you to experience the tasty concentrate to the fullest. This is a proprietary blend which has been developed and formulated specifically to turn wax into vape oil. This Wax Liquidizer now allows the user to easily create high quality E juice in the privacy and convenience of their apartment or home. Obtaining an even consistency is simple as it takes literally seconds to mix your concentrate and the wax liquidizer in a shot glass, and then you just microwave the mixture for ten seconds until an even consistency is reached for you to then enjoy! 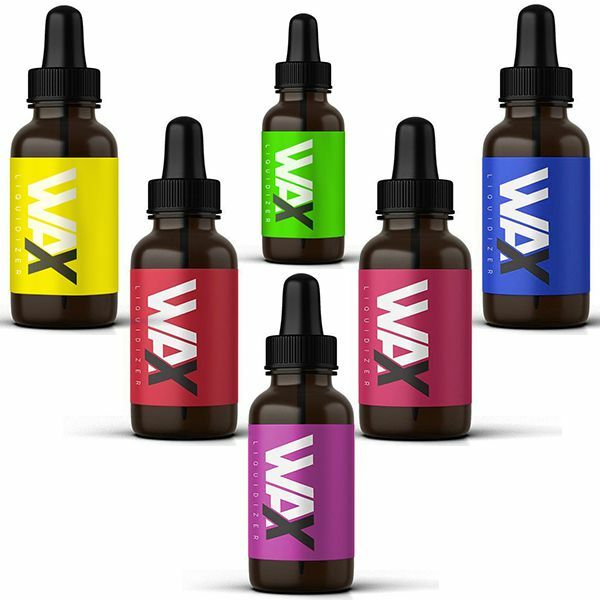 Using only the finest ingredients, with no additives, nicotine or vegetable glycerine to compromise the performance of our Wax Liquidizer products, this Wax Liquidizer makes it easy for you to start vaping wax with any standard vape pen, or atomiser. Offered by us in five tasty flavours, Strawberry Cough, Ice Hit, Grape, Pineapple and original, and the dropper bottle contains 15ml giving plenty of tasty hits. 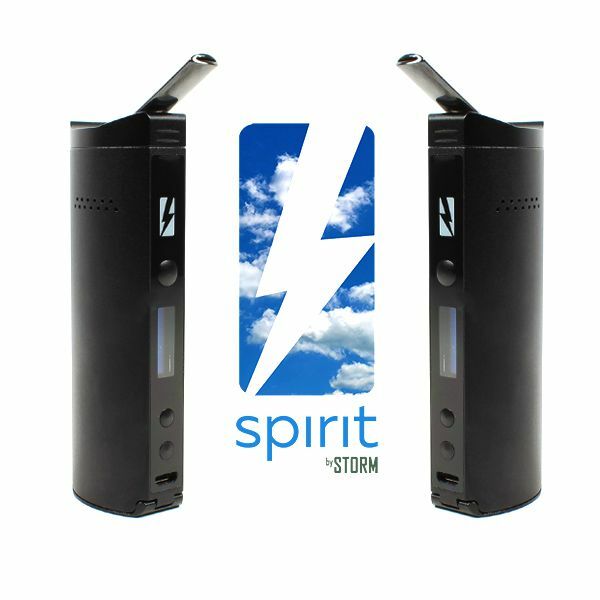 Users of the original Storm Vaporizer will testify that it was a very reliable product which delivered a great hit to the user, but the latest from Storm is even better. They have built on the success of the original vaporizer, but have added some great new features, whilst retaining the famed reliability as well as portability. A new feature which will certainly be welcomed by vapers is the addition of a high capacity 18650 battery, which offers you up to an hour and half of vaping time, this is double that of the original, plenty for most of us, but with the battery being easily changed, should you need more vaping time then changing the battery with a fully charged one is simple. Loading the Spirit is very easy, and the ceramic oven handles ground herbs excellently, vaporising them in a uniform and efficient manner, and by choosing the optional Spirit Resin Capsule, this allows you to use sticky pressed resins within your Spirit Vaporizer and protects the ceramic bowl from any melted remnants, or if you prefer, choose the liquid pads which allows you to use waxy, oily or crystalline concentrates in your Spirit Vaporizer. Users all agree that the Spirit is also extremely efficient: its oval chamber is designed to pass maximum airflow through your herbs, for easy rips of dense vapour, plus the removable mouthpiece, which is made from Ceramic Zirconia. This is strong and super smooth for a comfortable feel that preserves taste, it is an excellent thermal insulator, which draws most of the heat out of the vapour as it travels to your mouth, ensuring that you always get a smooth cool hit from the vapour. Measuring only 11cm tall x 3.5cm wide x 2.2cm deep, perfect pocket or handbag size this latest vaporizer from Storm, which combines digital temperature control and smart, slim pocket-friendly design with the same reliability, quality of build and swappable high-quality 18650 battery, all of this has ensured that the Spirit by Storm is a global success story. The popularity of vaping is increasing and there are very good reasons why, not least amongst them is the accepted view of the medical profession that “vaping” is not harmful and it is said to be preferable to cigarettes, and more people are using vapes both as a method to quit smoking, as well as for personal pleasure. One vaporizer, which is amongst the many that we offer, and proving to be a top seller is the GrenCo microG Herbal Vaporizer, which although it is one of the smallest of hand held hand held herb vaporizer that we sell. 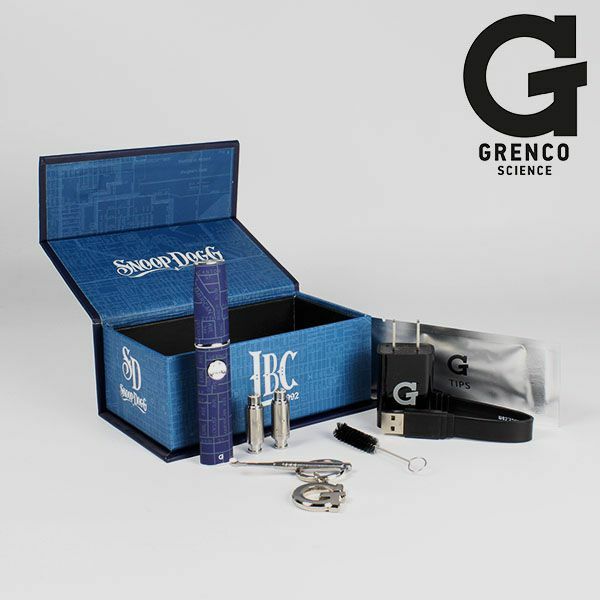 Don’t be fooled by that because the Snoop Dog Micro G vaporizer from Grenco Science is a compact vaporizer designed for use with waxes, and concentrate, but more importantly it is designed to handle dry herb. This discreet vaporizer looks cool, has superb building quality, excellent battery life, and perfectly hand sized at approximately 100mm in length. This makes it a perfect companion for anyone on the “go” and Grenco provide three chambers allowing the user to pre-fill the spare chambers and quickly exchange them when on the move, a sensible and great idea! Everything that you need is supplied in the box including a Rechargeable microG Battery, 5 mouthpieces, a very useful keychain, G Wall Adapter, microG USB Charger, 3 cleaning tips, and a cleaning brush. It is not difficult to see why; this is amongst the favourite vaporizers on our web pages. Snoop Dogg microG is amongst the best vaporizing pens and is extremely discreet and easy to transport; it can be used over and over again, and it requires only the purchase your particular herbs or other concentrates. When there appears to be nothing wrong with a product that both sells and works well, the Puffco Pro, you might wonder why a new version is needed. Well, the Puffco Plus has new and improved features and features a cutting edge ceramic atomiser unlike any on the market. The new version has a mini ceramic chamber, which you will find gives even and flavoursome heating. This is the newest Oil Pen Vaporizer available in the UK and we have found that Puffco Plus is a massive upgrade on its predecessor, not just in terms of design and style, but in performance and standard of vapour quality achieved. The design makes it easy to carry around, great for vaping on the “go” not only will it slip easily into the pocket or bag, but when discreteness demands, then this may be the perfect vape pen for you. The Puffco Plus features three temperature settings allowing you to choose a balance between choosing flavour and vapour production and with the sealed conduction chamber, this produces steady, consistent vapour, all housed in a super discreet stylish housing perfect for the dedicated connoisseur on the go, we promise no coils, no glues and no compromises. Other features include a “Sesh Mode” this setting heats the atomiser continuously for 12 seconds to give you a dab like experience; also the mouthpiece also houses a ceramic dart which is designed to making loading it a breeze. It also functions as a splash guard as well as ensuring the atomiser efficiently retains oil. Cleaning is easy, just to remove the mouthpiece of the Puffco Plus and hold the vape pen upside down to allow the residue to drain out of the vaporizer onto a paper towel, the chamber is then easily cleaned using cleaning swabs. 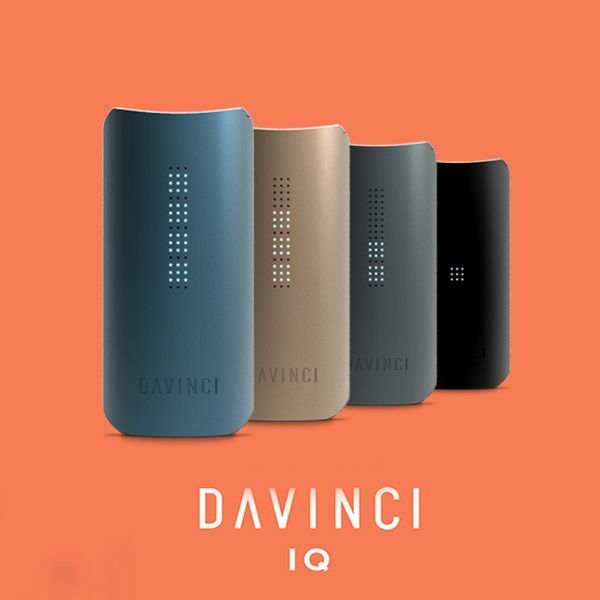 This is new to the UK and we are very excited by it as we know that Da Vinci are staying true to their innovative legacy on perfecting the purest flavour a vaporizer can produce. This is an all new and more powerful vaporizer and amongst its many features the Da Vinci IQ Vaporizer has a full display of 51 LED dots giving you a sophisticated feel while enjoying the purest vapour. Featuring precision temperature control, this allows you to craft your own vaping experience with temperatures ranging from 250-430° F in four selected temperature settings. Da Vinci took their time over this vaping piece and one feature is the 100% ceramic zirconia air path, ensuring that you get the very best and most fragrant and favourable vapour you can imagine. With a high quality vaporizer such as this one, Da Vinci have thought of convenience to the user in the case of the batteries, because nothing can ruin a relaxing smoke more than finding your vaporizer has a dead battery! This has been thought of by Da Vinci and they have supplied this with a 18650 replaceable battery. Simply slip out the old one and replace it with a second one fully charged, this will give you another three hours of use whilst you re-charge the old one. One of the most portable Vapes currently being sold, sleek and discreet and it will easily slip into your pocket and it just weighs in at close to 140 grams. Included with the Da Vinci is USB Charging Cable, Alcohol Wipes, Chimney Brush, Herb Funnel, 10mm Adapter and is has a 10 year warranty. 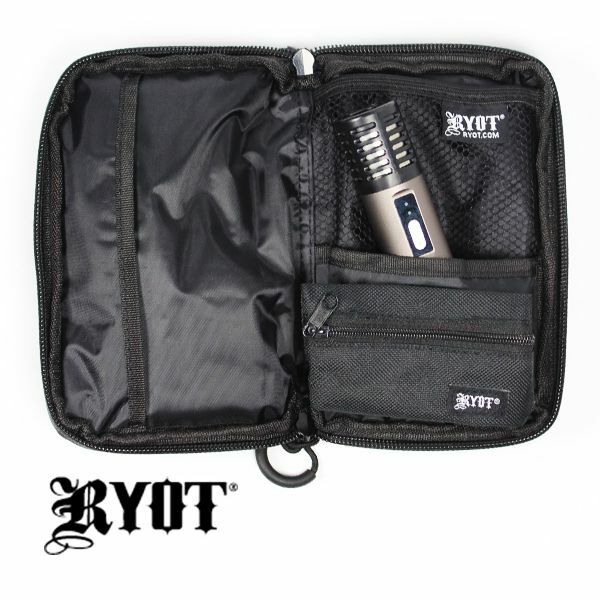 This is a wonderful, compact protection solution for daily use from RYOT, perfect for all your vaping accessories, smoking items and will also snugly accommodate small glass water pipes and bubblers, plus of course it will keep any organic material perfectly fresh. The SmellSafe is very cleverly designed Packratz, which features a SmellSafe zipper, along with a microscopic carbon application to create a scent resistant enclosure ensuring that it will prevent any unwanted odours escaping, as well as keeping your tobacco or organic smoking mixture completely untainted and protected, along with all the accessories. We offer this in two sizes, the smaller 150mm x 100mm x 40mm and the larger one measures 180mm x 125mm x 40mm. With the larger of the two, you will find that it has an ample amount of pockets to keep your vaporizer and accessories, as well as a removable foil lined pouch to store your tobacco or vaporizing herbs. With the smaller version, ample pockets are provided and the pouch pockets will easily keep safe an item such as the new and eagerly anticipated Pax2 Vaporizer. The protection is not confined to the interior of the pouch, it is manufactured using heavy duty exterior fabric and pillow soft padding to ensure your valuable equipment is well protected against accidental bumps and bangs.